Michael Meacher got cross last week over the US decision, urged on by the biotech companies, to offer large quantities of GM grain to Africa in famine relief. Some African countries have refused, despite the dire conditions of some of their people. More than 200 organisations from around the world have supported a declaration instigated by a coalition in Africa, concerned that GM food is being dumped on Africa as it does not have a commercial market. At a briefing in Westminster, Mr Meacher said: "It's wicked, when there is such an excess of non-GM food aid available. We have the means to assist, but we are playing politics over GM." The US Embassy (Letters 13 and 19 December) seeks to establish 'facts' that the only food aid available for the tragically destitute in Southern and Eastern Africa is genetically modified maize either from the USA or South Africa. This is not true: there is significant availability of GM-free food, even within the region. Data released this month by the "Global information and early warning system on food and agriculture" of the Food and Agriculture Organisation of the United Nations, show that within sub-Saharan Africa there are 1.8 million tons of cereals available for export for an assessed requirement for food aid of 1.47 million tons over and above current pledges. Removing South African maize from these data, where an estimated 30% of the yellow maize and 1% of the white maize crop is contaminated with GMOs as are imports from the USA, still leaves an estimated 1.35 million tons of GM-free cereals available for export within the region. The Programme Against Malnutrition in Zambia has recently confirmed that there are 300,000 tons of surplus GM-free cassava in the North of the country. In India, 60 million tons of GM-free food are available of which 1 million tons have already been pledged as food aid to Afghanistan. Is the World Food Programme's historical and commercially lucrative addiction to US maize for Southern and Eastern Africa blinding the Embassy to these national, regional and global sources of GM-free foods? Lee McLenny of the US embassy states categorically (Letters, December 19) that none of the food aid offered to African countries came from the US. According to the USAID website, the Liberty Star was loaded in Port Charles, Lousiana on June 26 with 36,000 tonnes of GM maize for emergency food relief. The ship arrived in Durban, South Africa on July 29. In reply to the US embassy's letter (December 19), a 2001 American Corn Growers Association (www.acga.org) survey of grain storage silos in 10 major maize-producing states confirmed that more than 100 required segregation of genetically modified (GM) varieties from non-GM varieties. USDA figures state that last year only 30% of US maize planted was GM varieties. When Zambian scientists recently visited the US at the behest of the government, US agronomist Dr Charles Benbrook told them the US does have GM-free maize for African countries, but refuses to supply it. South African newspaper reports have confirmed ships in Durban harbour with US maize for famine victims. There have further been photos in our newspapers of starving people on the side of the road picking up kernels of "GM maize from the US" that have fallen from passing trucks. One of the greatest fears of African states is that GM maize will be planted instead of eaten, and this will contaminate and destroy Africa's GM-free export markets. Reports from Malawi in the last few days indicate that it has just run out of seed, which means Malawian farmers will turn to the black market and buy GM food aid to use as maize seed. Could the corporate-dominated US government be involved in a conspiracy to contaminate the world's crops with GM varieties, thereby preventing consumers having the choice of GM-free food? 1) Nearly 35% of maize planted in the US is GM. 2) About 95% of the maize in the US food distribution system (ie, the maize that is eaten by Americans and given as food aid around the world) is considered GM because we do not discriminate between or segregate GM and non-GM food products. 3) Ironically, exactly 0% (ie, none at all) of the maize food aid offered by the US and refused by several African governments actually came from the US. Little US maize was available at that time, so we sold surplus wheat and bought South African maize locally with the funds generated. 4) The food aid offered by the US was a 100% humanitarian effort to alleviate hunger and avoid death due to starvation in southern Africa. I hope that this clears up any doubts about this matter. In his letter (December 13), US ambassador William Farish stated that "more than 95% of American maize is GM". This is just flat wrong. According to the US department of agriculture's national agriculture statistics service, only 30% of US corn in 2002 was genetically modified. The absence of a comprehensive segregation system which separates GM corn from non-GM corn is real problem in the US. Nevertheless there is a significant and expanding supply of organic corn and identity-preserved non-GM corn that clearly could be accessed for food aid if there was the political will to do so. With an estimated 70% of corn in the US non-GM, it is hard to make the argument that none can be found for countries that want it. 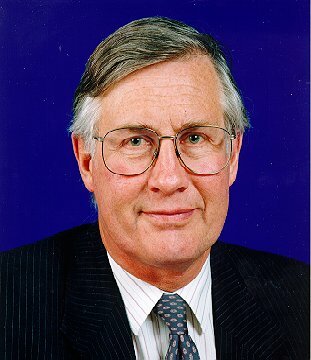 You quote (Eco soundings, December 4) a UK government minister [Michael Meacher, responding to a US offer of large quantities of GM grain to Africa in famine relief] as saying: "It's wicked, when there is such an excess of non-GM food available. We have the means to assist, but we are playing politics over GM." I was sad and angry when I read these words. They are not true. There is no excess of non-GM food available. Southern Africans eat maize. More than 95% of US maize is GM. The US has offered to buy maize from South Africa, but virtually all South African maize on the market is GM too. World stocks of maize (of any sort) are nearly 25% lower than last year. The World Food Programme has only received pledges for 56% of famine aid needed for southern Africa. GM foods offered as food aid are safe to eat. It's the same food Americans eat and have been eating it since 1996. The US is the largest food aid donor in the world. Last year, we provided 62% of all food aid offered by the UN World Food Programme. In southern Africa alone, we provided more than half of the total aid from all sources. This is not about commercial advantage or gaining markets. It's about saving people from dying of hunger. Americans know that they are blessed with prosperity, and want to help others meet their needs. Our response to famine in Africa or anywhere around the world has always been swift and generous. I encourage others to follow our example. The need is still great. In my letter (December 19) concerning US food aid to Africa, I made a factual error, which a number of people have brought to my attention. My third point, that maize food aid offered by the US came from South Africa, is incorrect. At the time of writing, I believed it was accurate, but I subsequently learned that the information I had on this point was anecdotal, and not complete. US-origin maize has in fact been shipped to southern Africa as food aid. I very much regret the error. The rest of my letter, however, is accurate. Because we in the US do not discriminate between GM and non-GM maize, about 95% of the US maize crop is regarded as GM because it "may contain" GM products. The points I was trying to make are threefold: large amounts of non-GM maize are not available; US food aid maize is the same FDA-approved product eaten by Americans; our fundamental goal is to provide nutritious and edible food for starving peop le. I hope we won't lose sight of these main points in discussion of this life-and-death issue. The US Embassy now admits ("The facts about US maize" Letters 21 Jan) it was wrong to assert in its pre Christmas letter that the US had not sent GM food aid to southern Africa, when this was patently absurd. It now reasserts that GM-free food is not available. This is equally not true: whilst the food-aid pipeline is stuffed with GM cereals from the USA (another 9,376 tons of GM maize destined for Zambia arrived on 18 January in Beira) , most of the world grows GM-free foods and, of course, there is plenty available. Many countries have requested GM-free supplies and Food Aid organisations should be obliged to buy these, as the Minister, Michael Meacher commented in early December. Even within Africa, surplus GM-free food is available. Data released in December by the Food and Agriculture Organisation of the United Nations' "Global information and early warning system on food and agriculture" confirm that in sub-Saharan Africa there are 1.35 million tons of GM-free cereals available for export within the region. This should be set against their assessment of the extra food aid needed of 1.47 million tons. In addition to cereals, But Food Aid planners must also include other available foods. The Programme Against Malnutrition in Zambia, for example, has recently confirmed that there are 300,000 tons of surplus GM-free cassava in the North of the country - they need help to purchase and transport this to the hungry South. Outside of the region there are supplies of GM-free food, even in North America. And in India, 53 million tons of GM-free food are available of which 1 million tons have already been pledged as food aid to Afghanistan. We applaud the efforts of Lee McClenny, the US embassy press attache (Letters, January 21), to clarify the facts on GM maize and admit his mistake in a previous letter about the origins of US food aid to Africa. Unfortunately, he continues to misrepresent the situation. GM yellow corn in the US is primarily grown and used for animal feed. It is largely not sold in the produce aisle of supermarkets - although certainly measurable levels are widespread in processed foods that contain corn. Africans, for example in Zambia, generally eat white corn. Not only the US, but many other countries around the world produce non-GM white corn. Despite Mr McClenny's assertions, the US government could have offered African countries non-GM white corn - either from the US or another country. The whole tragic situation could have been averted if the US had simply offered African countries money to buy their own corn or other nutritionally balanc ed and culturally appropriate food aid as requested by governments. Instead, the US government dumped excess GM yellow corn that it couldn't sell on the world market into its food aid programme. There are numerous better ways to help feed the world's hungry, even in crisis situations. Unfortunately, the US government appears incapable of removing its food aid policy from the grip of its promotion of genetic engineering. Insulting and threatening someone is no way to go about winning over their heart let alone their mind, especially when they suspect that their own health and the environment may be at risk and that you, the supplicant, are motivated purely by commercial considerations. Yet, bizarrely, America seems to think that just such behaviour is exactly what is needed to persuade a sceptical Europe that genetically modified (GM) food is 100% safe and that Europe should rescind a four-year ban on new GM products. This week Robert Zoellick, the US administration's top trade official, lashed out at a "luddite" and "immoral" Europe. European "antiscientific" policies were, he claimed, spreading to the developing world and convincing famine-hit countries to refuse GM food aid. Pushing his own country ever closer towards a trade dispute with the EU that would dwarf all past spats, he called for the nth time for Europe's ban on new GM product ap provals to be lifted and said he favoured legal action against the EU in the World Trade Organisation to force Europe to do the right thing. The response from the EU was withering. Pascal Lamy, the EU's shaven-headed trade supremo and a personal friend of Zoellick's, offered his US counterpart a reality check. Legal action to force open Europe's markets would complicate and possibly even scupper the EU's own moves to lift the ban (something which could happen sometime later this year), and any legal challenge would be fiercely challenged and probably quashed. Nor, he added, has the EU ever advised an African state to refuse GM aid - it has only shared its own sermon-free risk analyses and knowledge. Mr Zoellick should listen to his old friend. Whatever the rights and wrongs of GM technology, the subject remains acutely controversial in Europe and GM products continue to be viewed with deep suspicion. While allegations that GM food may harm human health remain unsubsta ntiated, warnings about the dangers of cross-pollination and playing with nature are taken seriously. Fed a steady diet of Frankenstein food stories and still reeling from a slew of health scares ranging from mad cow disease to dioxin poisoning, Europeans are certainly not crying out for GM food, and if and when they are offered new products they will want to know their origin. The public's scepticism, which shows no signs of abating, is reflected in their governments' policies. At least seven EU member states including France and Italy want the current moratorium on new GM products, which has been in place since 1998, to be maintained. They have suggested, however, that they may be willing to lift the ban when the EU's own ultra-strict labelling and traceability rules enter into force - something which should happen later this year. New rules to ensure that all GM food and crops undergo a series of rigorous risk assessment tests before they are authorised for sale, mark eting, or even planting anywhere in the EU have already entered into force. Whether the doubting member states actually do agree to lift the ban when the rest of the EU's GM legislation takes effect remains to be seen of course, but in the meantime Washington should pipe down. Mr Zoellick's comments don't help. Taking such a heavy-handed approach will only alienate countries such as France where anti-Americanism needs little encouragement and will cause resentment and ill-feeling. It certainly won't engender a spirit of cooperation. Instead America should concentrate on trying to win the ongoing ethical and scientific debate about GM technology which remains wide open. Biotechnology firms' sensational claims about the life-changing nature of their products may well all be true - perhaps GM technology will one day vanquish hunger and transform the developing world. But maybe it won't. The fact is that anything new needs to be tried and tested, and that takes time. Peopl e should also have the right to know what they're eating, which means labelling and until the debate about GM food is settled once and for all African countries should be offered non-GM food aid. If anything is "immoral", it is the status quo whereby desperately hungry poor countries are offered GM grain by the US which much of the developed world would not touch with a bargepole. James Morris, Executive Director of World Food Programme, admits that WFP has been shipping GM foods in food aid for the past 7 years. This story surfaced as a result of tip-offs from within WFP during the Johannesburg summit. After a period of denial, pressed by a New Scientist journalist, the WFP has decided to come out (see New Scientist article). WFP now admits unashamedly that it has been shipping the stuff since it was first commercialised in 1995/6. (See International Herald Tribune article). That the Biosafety Protocol was being negotiated during this time and all developing countries and the EU were clear they wanted Advanced Informed Agreement before GMOs were shipped to their countries, seems not to have been heeded by WFP.. A complicity of feigned ignorance has perpetrated a significant damage on recipient countries. Civil Society should call for an immediate audit of supply of GM contaminated food aid over the past 7 years. Countries should then be in a position to exercise their rights for liability and redress concerning any impacts now and in the future resulting from this contamination. THE UN has been delivering genetically modified food as emergency aid for the past seven years, New Scientist has learned. And it has done so without telling the countries concerned. Its admission makes a mockery of African governments' recent efforts to reject GM food aid. Countries getting GM food aid in the past two years - often in breach of national regulations - include the Philippines, India, Bolivia, Colombia, Guatemala, Nicaragua and Ecuador, as well as many African countries. The UN World Food Programme told New Scientist this week that its staff are under no obligation to alert authorities and have made no attempt to distinguish between GM and conventional cereals since 1996, when GM crops first became part of US grain stocks destined for aid. Half of world food aid comes from the US, and a quarter of the nation's maize is genetically modified. "We do business with 83 countries in the world," WFP director James Morris said last week. The news comes amid allegations that the US is exploiting southern Africa's drought to drum up markets for its large unsold stocks of GM maize and soya. Saliem Fakir, director of the South African branch of the IUCN (World Conservation Union), calls the offer of GM food aid to the region a moral trap. "Africa is just a pawn in the US's attempt to break the European Union's position on GM foods," he says. The UN estimates that 14 million people in southern Africa will need food aid in the coming months. Zambian president levy Mwanawasa angrily rejected GM food aid as "poison" earlier this month, but has been forced to admit that his citizens have been eating GM aid on and off since the mid-1990s. Zambia's neighbours Zimbabwe and Malawi have now accepted GM maize on condition that it is milled to prevent farmers planting it in their fields. The WFP, the world's largest supplier. of food aid, uses mostly North American grain. "We think the starving would rather eat GM grain than dirt," said spokesman Trevor Rowe this week. But African governments argue there is plenty of GM-free maize available on world markets that could be supplied as aid. Independent aid groups are being caught up in the row. Most turn A blind eye to GM cereals in their food aid, says anti-GM campaigner Patrick Mulvany of the Intermediate Technology Development Group in Britain. A recent study found that none has formal policies banning GM cereals. The WFP says it sees no need to warn about GM material in food aid. It says, "We are just the middle man. If the food meets the national standards of the donors, we accept it." But Mulvany says that since 1996, most poor countries have made clear in negotiations on international rules for GM trade that they want to be told in advance about GM imports, and many have announced outright bans. "The WFP would have been aware of this. If it was not informing recipient countries after that, it should be severely criticised." Though health scares grab local headlines, southern African countries have a real fear that once GM grain is planted it will contaminate domestic grain fed to livestock destined for European markets. "African livestock commands a high price because it is organically raised," says Andrew Clegg of the ELI-funded Namibia Human Resources Development Programme. "This market strength will vanish if there is even the slightest suspicion that products can no longer be guaranteed GM-free." Recent research in Mexico found that GM maize imported from the US to make tortillas has been planted and is now contaminating fields far and wide. So far as New Scientist has been able to establish, no similar tests have been done on maize growing in countries that have received food aid. JOHANNESBURG Who has not now seen images in the media of the bone-thin children, the withered fields, and the empty store shelves in Southern Africa? The lines of desperate people waiting for food aid stretch longer each day. In rural villages there is a growing sense of panic. The regions' food crisis, spawned by natural disasters, the impact of AIDS and failed economic policies, is deepening with the approach of the long hot summer in sub-Saharan Africa. The next harvest is at least four months away. We will soon enter what humanitarian agencies call the "lean season," and without decisive action millions of lives are threatened. It is therefore all the more tragic that the World Food Program's campaign to feed 12.8 million people in Southern Africa at risk of starvation has been subverted by an emotional and often uninformed debate about genetically modified food. At the very time that the suffering of the people is rising to monumental proportions, the criticism of biotech food products reached fever pitch. Genetically modified became virtually overnight a touchstone for misinformation and rhetorical fury out of touch with modern science. Why has this happened? The World Food Program has been distributing food with some biotech content in Africa and around the world for seven years. In doing so, we observe the food safety guidelines of the Codex Alimentarius, the principle UN body dealing with food safety. All our food aid is certified as fit for human consumption in the donor country - so the food our beneficiaries eat in Africa is the very same food eaten daily in cities like New York and Toronto. Amid the uproar over the past few weeks, the World Food Program has worked with many governments to try to overcome their food shortages. External food aid simply must be part of the solution because stocks in southern Africa are very low and heavy buying would drive up food prices, bringing added misery to the lives of the poor people throughout the region. Three-quarters of the food aid already on hand in the region has come from the United States and is likely to have some genetically modified content. Biotech foods are readily accepted in a growing number of countries. They are produced and eaten in the United States, Canada, China, Argentina, Australia, the European Union and, increasingly, in South Africa itself. Recently published estimates are that two-thirds of processed food products in Canada have some genetically modified content. Yet some needy countries are still reluctant to accept biotech food. What are their concerns? Some center on the environment and trade. Accidental cross-pollination of biotech maize with varieties now grown has been raised as an issue. But if governments are concerned they can always opt to mill the maize. The Food and Agriculture Organization believes there is less of a biodiversity issue for southern Africa, as existing maize varieties are not native but introduced. Another concern is possible European Union restrictions on African exports of livestock fed with genetically modified maize, but EU representatives say the real problem is the prevalence of foot and mouth disease. In fact, genetically modified commodities are routinely fed to livestock within the EU itself. If the World Food Program cannot give biotech food to countries in southern Africa, it will have substantially less to offer in the weeks ahead and we are running out of time to appeal for more funds from donors. The added demand for cash donations will mean the related emergency operations of our colleagues at the World Health Organization, UNICEF and the FAO will all be shortchanged as donors divert more cash for urgent food needs. The anti-biotech food advocates are free to argue that people should starve while the scientific jury is out (as hundreds of millions of people in other parts of the world are contentedly eating genetically modified foods). But is the jury really still out when it comes to the safety of biotech foods? Naturally, all genetically modified food products need to be judged on a case-by-case basis. But all scientific risk assessments thus far show that the biotech foods now on the market are every bit as safe to eat as their conventional counterparts. In an effort to calm the increasingly irrational debate, the EU Commission recently cited 81 separate studies that support this view. Never, in nearly 40 years of operations, has the World Food Program confronted a blockade of its food aid in peace. We will try our best to save lives, working with recipient country governments, a wide spectrum of donors and our partner nongovernmental organizations. But we urge the political leaders in Southern Africa to weigh the scientific facts. The fate of millions of hungry people lies in their hands. The writer, executive director of the United Nations World Food Program, has just completed a fact-finding mission in Southern Africa as the special envoy of the UN secretary-general. He contributed this comment to the International Herald Tribune. "On the prevention side, USDA and the food industry representatives emphasized that it is critical that PVOs are fully aware of and understand the receiving government's policies, regulations, and restrictions regarding import of GM products. USDA stated that the first response when a PVO encounters questioning from the receiving government on the GMO content of food aid shipments should be to inform the local USAID mission of these new concerns. The PVO should begin immediately collecting documentation to serve as proof of the recipient country's laws/policies and to assist in determining if the problem is trade or politically motivated. The local USAID mission will likely negotiate with the local government officials to clarify and gain an understanding of why the clearance of these products is being questioned/disputed now at this time and for what reasons. Especially at this early stage of the situation, USAID's diplomatic ability in resolving the situation is cruci al." "An increasingly higher proportion of U.S. food aid75 percent in 1997 compared with 41 percent in 1990 is being channelled through targeted relief operations and development projects rather than through government-to-government sales or commodity grants to support economic and social development.8 These relief and development programs are managed by PVOs and international organizations such as the World Food Program (WFP). As a result, the PVO community is taking on more responsibility for food aid relief and development work than in the past. As biotechnology and GMOs continue to be controversial and critical issues for global food security, they may have a important impact on PVO food aid operations. When asked about their position on GM food, PVOs had mixed responses. To better understand how the PVO community is currently responding to the controversy over GM foods, the interviewed PVOs are grouped into two categories according to their policies and experiences with GMOs. It is interesting to note that no PVOs interviewed indicated an organizational food aid policy clearly against GM food. In general, this group of PVOs expressed a desire for more knowledge on biotechnology and GMO issues before coming to a conclusion about the appropriateness and safety of genetically modified food. Many interviewees in this group indicated that it is not the PVOs responsibility to ensure that non-GM food is distributed. However, they believed it is in the best interest of PVOs to educate and inform buyers and policymakers in recipient countries about the pros and cons of GM food aid. However, no PVO interviewees indicated that any formal information resource and educational activities are presently being conducted. GM food is accepted because the PVOs are not in a position to demand non-genetically modified food from USAID and USDA. One respondent stated, By not having a policy, we have a policy since we are still handling GM food aid. In addition, some interviewees described their policy regarding GMOs as being determined on a case-by-case and country-by-country basis, rather than being applied as a blanket policy covering all GM food issues. PVOs in this category support biotechnology, work closely with U.S. commodity groups, and seek to develop policies based on scientific evidence. Respondents believe it is critical to explore new technology that may have potential for increasing agricultural production in food deficit regions. In addition, some respondents argued for strengthening GMO research and development in the public domain. Interviewees in this category also stressed the need for more testing on the unforeseen impacts genetically modified organisms may have on the environment and our food supply. ...and how is it done? The UK Food Group (UKFG) is the main non-government forum in the UK for global food, agriculture and development issues founded in 1986 and now with more than 25 member organisations specialising in overseas development, farming, environment and consumer affairs. The UKFG works globally and has strong international links especially with partners in the South. Members of the UKFG include ActionAid, CAFOD, Christian Aid, ITDG, The Gaia Foundation and Oxfam. food health and safety as a right for all consumers, households and communities in developing and developed countries. The UK Food Group welcomes the agreement of the Cartagena Protocol on Biosafety by consensus and urges Governments and the Intergovernmental Committee on the Cartagena Protocol (ICCP) to take immediate measures to put the Protocols provisions into practice. The Cartagena Protocol on Biosafety is an important international instrument that recognises that GMOs (termed Living Modified Organisms - LMOs - in the Protocol) are inherently different from non-GMOs and sets up a regulatory regime for transboundary movements of GMOs. This regime covers all GMOs that are intended for releases into the environment; GMOs being exported with intention that they are going to directly used for food, feed or for processing, are also covered under the Protocols provisions for information exchange and identification of GMOs. The Protocol establishes the rights of countries to require risk assessments of each GMO in the specific national context of any country before allowing it to be imported, to refuse entry to GMOs, or to set conditions on their import, on the basis of risk assessments; to take social and economic considerations into account in reaching their decisions; and to apply the precautionary principle in their decisions on GMOs. The Protocol places responsibilities on exporters and countries of export, for example, to ensure that exports of GMOs do not proceed unless they are fully in compliance with the provisions of the protocol, and have the advance informed agreement of the country to which they are being exported. However, while the text of the Cartagena Protocol on Biosafety contains many useful features, the UKFG is disappointed that the Protocol failed to require segregation of GMO commodities for food, feed or processing, or to establish a regime for liability and redress, instead setting up a process with a view to developing such a regime within four years of the Protocols entry into force. Implementation of the Protocol is now the key issue and there is an enormous amount of work to be done to ensure that developing countries can properly benefit from the rules that the Cartagena Protocol on Biosafety establishes for transboundary movements of GMOs. In particular, the UKFG urges States to sign, if they have not already done so, and ratify the Cartagena Protocol, to strengthen or adopt national measures on biosafety, and to adopt interim measures for implementation of the Protocols provisions in advance of its entry into force. 1.set up a working group to make recommendations of international rules and procedures in the field of Liability and Redress for damage resulting from transboundary movements of GMOs for adoption by the first Meeting of the Parties to the Protocol. The UKFG advocates that in the event of harm arising as a consequence of GMOs including GMOs intended for food, feed or processing (GMO-FFPs), the exporter, or the Party of origin of those GMOs or products should the exporter be unable to discharge its obligations, should be strictly liable for that harm and for providing compensation. · make it clear to States that it is legitimate for them to base their decisions on these factors. 7.set out detailed requirements on Handling, Transport, Packaging and Identification (Article 18 of the Cartagena Protocol) of GMOs. These should include provisions for traceability of all GMOs, including GMO-FFPs. Furthermore, the UKFG calls for clear labelling of all GMOs, GMO-FFPs and their products, and for segregation of GMOs, including GMO-FFPs, from non-GMOs in their handling, storage and transport. 8.set up a working group to make recommendations on effective procedures and mechanisms for monitoring, compliance and dispute resolution in the context of the Cartagena Protocol for adoption by the first Meeting of the Parties to the Protocol. The UKFG advocates that such procedures should ensure that disputes regarding the Protocol and its implementation are resolved within the framework of the Protocol rather than being transferred to other international fora. 1.establish a Biosafety Clearing House and bring it into operation as quickly as possible as an interim measure in advance of the Protocols entry into force. The Biosafety Clearing House should also incorporate adverse impact reporting mechanisms for reporting and sharing of information on any adverse effects of GMOs including GMO-FFPs. 2.set guidelines for biosafety capacity building to ensure that all relevant technical, ecological and socio-economic aspects are covered as well as development and strengthening of the overall regulatory frameworks for biosafety implemented by States. The UKFG proposes that in order to ensure the credibility of capacity building, these guidelines should exclude the involvement in capacity building for biosafety of private sector organisations, including parent companies and their subsidiaries, that may potentially engage in supply or distribution GMOs including GMO-FFPs on a commercial basis. · develop and strengthen appropriate domestic regimes for liability and compensation so that these include coverage of any failures of GMOs to perform in accordance with claims made by the seed originator; adverse effects of GMOs arising from intentional or unintentional releases; or sale or distribution by seed companies of contaminated seed. · require companies to provide adequate and intelligible information at point-of-sale to farmers, especially poor farmers, concerning GMOs, including specific genetically engineered traits, husbandry requirements, risk assessment and risk management measures, names and addresses of patent owner(s), seed originator, exporter, and importer. · put in place measures, including national legislation, to implement exporter-based responsibilities for compliance with all relevant provisions of the Biosafety Protocol in relation to GMOs and GMO-FFPs that may be exported from their territories. · develop public consultation under the decision making procedures on AIA for all GMOs, including GMO-FFPs, in accordance with their national laws and regulations. The battle for biosafety resumes again on 24 January. Government delegations from around the world gather in Montreal for a second attempt to agree a Biosafety Protocol - an international treaty to provide a framework for international regulation of GMOs. Lined up on one side are more than 120 countries that want to see a strong and effective Biosafety Protocol providing a good level of protection in the face of the risks to the environment and biodiversity that GMOs pose. They want an agreement based on the Precautionary Principle. This states that a lack of full scientific certainty should not be used as an excuse to postpone action when there is a threat of serious or irreversible damage. The Precautionary Principle is standard basis for all international environmental agreements, and is a key principle of the Rio Declaration approved at the 1992 Earth Summit. On the other side, is the Miami Group - Argentina, Australia, Canada, Chile, the USA, and Uruguay - the six countries that blocked agreement of the Biosafety Protocol in February last year. The Miami Group want any controls to be based on "sound scientific knowledge," a code that is embodied in the rules of the World Trade Organisation. In practice, this is used to outlaw application of the Precautionary Principle and only accepts evidence of risks after they have happened. Its rather like only be allowed to brake after youve crashed your car. The resumed Biosafety negotiations focus on minute technical detail in an effort to overcome the Miami Groups block on progress. Under the rules of the Biodiversity Convention, the parent for the Biosafety negotiations, the protocol has to be agreed by consensus. So the Miami Group tries to keep progress to a snail pace, in the hope that delay will lead to time running out before agreement can be reached. The Miami Groups other tactic is to try and portray those who want an effective Protocol as unreasonable negotiators whose crazy demands make any agreement impossible. This could not be further from the truth, but shows how desperate the Miami Group are. At a recent meeting in Vienna, the Miami Group went through their objections point-by-point. Each challenge to their objections revealed a case built on assertions without substance. And in Seattle, the US attempted to sideline the Biosafety negotiations by setting up a Working Group on Biotechnology under the WTO. They failed - and the American tactic backfired when Environment Ministers from five EU countries issued strong statements condemning the US move, along with the acquiescence of EU trade negotiators to it. They called instead for agreement of a strong and effective Biosafety Protocol at the forthcoming Montreal meeting, as a matter of urgency. They went on to stress that a protocol under the Biodiversity Convention, not the WTO, is the right place to deal with biosafety. At the same time, developing countries have given notice that they will no longer put up with bullying by dominant countries in the WTO. Their stand has won backing from European countries, including the UK. It looks like the US is entering the Biosafety negotiations in a weak position. There is also a chance that the other members of the Miami Group will cease toeing the US line, and even that countries may split from the group. Meanwhile, the past year has seen an enormous increase in public concern over GMOs around the world. Consumers in free markets are saying NO! More information has reached the public about the environmental and health risks associated with genetic engineering technologies - from the implication of GM maize in the decline of Monarch butterflies in the US, to reports on uncertainties associated with genetic engineering of trees, and the potential impacts of GM fish on natural fish populations. In the US, a patient died horribly and inexplicably while undergoing gene therapy - and a follow up enquiry by the Federal authorities revealed a number of deviations from approved procedures in groups across the US authorised to undertake gene therapy. Furthermore, the market has shown that it can and is responding to consumer demand for GM-free food. In North America, grain shippers and growers are gearing up to supply this market. In Brazil, the state of Rio Grande del Sul has gone GM free, concerned about the environmental effects of GMOs and keen to gain from opportunities in markets for GM-free produce. The Miami Groups claims that supplying markets with non-GM commodities would be a costly and unworkable exercise, are looking threadbare as more growers and companies go GM-free. Suppliers have not gone bankrupt in serving this market - they have done good business showing that going GM-free is the sound commercial option. The only ones who are losing out are the proponents of GMOs - particularly Monsanto and other giant corporations which have ill-advisedly sunk billions of dollars into genetic engineering of commodity products. The past year has witnessed huge falls in the share price of biotechnology corporations, and leading investment banks - Credit Suisse First Boston and Deutsche Bank - have advised investors of their concerns regarding the performance of biotechnology companies. It looks like the strategy of the US Government and its Miami Group allies to prevent, or terminally weaken, the Biosafety Protocol has been driven by a desire to keep exports of GMO commodities flowing by stealth - without information, documentation, or any chance for importing countries to make their own informed decisions about whether or not to accept imports of GMOs for food, feed or processing. strengthening of provisions on liability and compensation to specify that these are to be based on strict and civil liability, and that they must be put in place within a set time limit, preferably of no more than four years from the date that the Biosafety Protocol comes into force. A great deal hangs on the Montreal meeting if a strong and effective Protocol - which would also be the first international agreement of the new millennium - is to be agreed. An overwhelming majority of countries have already reached agreement, while the six Miami Group countries blocked progress, last year. In the intervening months, the urgency of agreeing a Biosafety Protocol has been underlined by growing evidence of the risks and uncertainties associated with GMOs. The response of some producers and shippers has shown that GM-free exports are perfectly feasible and commercially sensible, while shares in GM giants have tumbled on stock markets around the world, and been shunned by investment advisers. The need for a Biosafety Protcol is clear - so too is the evidence that it wont harm trade but will help consumers to get food that is GM-free, as well as giving countries a framework for protecting their environments and biodiversity where GMO imports are concerned. GeneWatch BriefingsGeneWatch is an independent organisation concerned with the ethics and risks of genetic engineering. It questions how, why and whether the use of genetic technologies should proceed and believes that the debate over genetic engineering is long overdue. Websites Regarding Genetically Engineered Food -A newly updated list for those concerned about the chemical companies and the U.S. Government and what they are doing: The recent cross-species genetic engineering of the global food supply with the genes of viruses, bacteria, insects, fish, animals; even with human DNA. Friends of the Earth Europe Biotechnology Programme - provides accurate and topical information on developments and events concerning genetic engineering's effects on environment, agriculture, food, consumers and ethical values. Gene Watch produces briefings such as #3 "Genetic Engineering: can it feed the World? "August 1998. Contact by mail: The Courtyard, Whitecross Road, Tideswell, Buxton Derbyshire, SK17 8NY, UK, or email: mailto:gene.watch@dial.pipex.com. Green Alliance Meeting corporate sector insiders for change. To raise awareness of the possible environmental impacts of the release of genetically modified organisms (GMOs) into the environment, to explore whether there are potential environmental advantages to genetic modification, and to press for public institutions which can make these judgements properly. Monsanto Rapidly Expanding Agribusiness Corporation - unchallenged globally? Motto: Food, Health, Hope! Owners of terminator technology and originators of mass advertising campaign to buy public opinion. Cargill Main Global Grain Trader. Global Biotech Animal Feed tie-up with Monsanto. Unilever Selling off Public Genes to Monsanto: sale of PBI for £320m agreed on 14 July 1998.